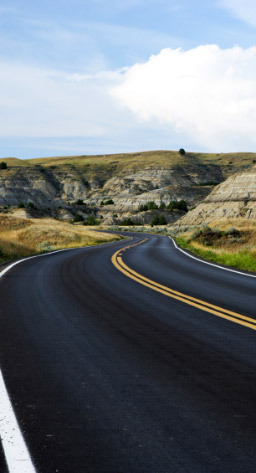 Complete this course to dismiss a citation from your driving record, or if you have been ordered by a judge/court to complete a Driving Safety Course. Wipe out your ticket today! Choose this SPECIAL COMBO to dismiss a citation and get a copy of your official Type 3A driver record from the Texas Department of Public Safety. We'll process your driver record and include a copy with your Certificate of Course Completion. Important! In order to dismiss your ticket, many Texas courts require you to submit a copy of your official driver record along with your Driving Safety Certificate of Course Completion. Spend a Little • Save a Lot! Many insurance providers offer a discount — usually around 10% for a period of 3 years — to drivers who provide proof of completion of a Driving Safety Course. Take our course and save! This simple, informative, and entertaining Driving Safety Course was approved to allow you to earn an auto insurance discount, to clear a ticket/points from your driver record and/or satisfy a court order, or to fulfill a fleet driver safety or business safety training requirement. But we designed the finest instructional materials to ensure that you laugh while you learn these helpful and potentially life-saving defensive driving techniques! 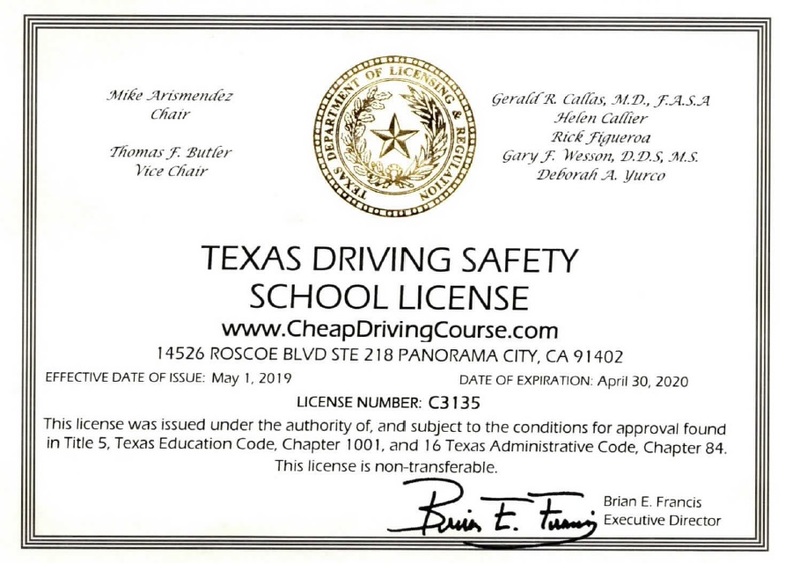 If our program's ease of use and our defensive driving school's superior customer service don't sell you, then maybe the price will: The cost of the course is ONLY $25 — the guaranteed lowest price allowed by Texas law! There are no hidden fees or surprise add-ons; everything you need to successfully complete your Driving Safety Course is included in one low price. 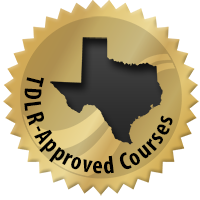 Better still, we're on the list of Texas state-approved defensive driving course providers, so you can rest assured your certificate will be accepted by your court. So, sign up now and get started on the best Driving Safety Course in Texas! Click Here to Register Now for Our Online Course! Looks like you can take our National Safe Driver Program course. Click below to learn more and register.